How To Theft-Proof Your Personal Belongings While Travelling | Calgary Alarm Inc. Compared to a decade ago, when all you needed to take care of when travelling were a passport and ATM card, and perhaps a disposable camera, today you stand to lose a lot more if you don’t take active measures to secure your personal belongings. You need to take care of your portable laptop, smartphone or tablet, and digital camera, and also protect your personal information from identity theft, data smugglers, and unauthorized transactions, among other risks. Here are some tips for theft-proofing your personal items while travelling. Carry your passport, visa, immunization papers, and other relevant documents, and leave all other sensitive information—birth certificates, social security card, tax forms—at home, to reduce the risk of theft. Consider using an organized travel carrier or wallet to hold your passport, ID, credit card, emergency cash, and other valuable items. Choose one that loops around the neck so it’s always on your person. Also, don’t leave your other bags unattended. Choose a lock that won’t inconvenience you during the luggage screening procedures. Don’t assume that you will hear or notice when someone tampers with your zip tie or tape tag, because you will probably be in a noisy environment if it happens. There are different types of tamper resistant bags, including anti-slash bags, those that use hasps instead of zippers, and some that feature anti-puncture zippers. These kinds of luggage can significantly reduce the risk of theft, but you should still keep an eye on your belongings. Thieves know where your valuables are likely to be, and will likely target those places. Make your valuables look inconspicuous by concealing them in unremarkable things. Be cautious of lockers and safes in hotel rooms as they can be easily targeted and broken into. Instead, consider hiding your cash and documents in the pockets of your folded clothing, and jewelry in cheap toiletry containers. Inform your credit/debit card company of your travel plans, to prevent them from freezing your account due to an “unusual” charge in a different country. Also alert relevant programs of your travel location, so they can follow up on you via the embassy or consulate in the event of an emergency, security breach or disaster. If you’re preparing to journey across North America or cross the Atlantic or Pacific to a popular destination, chances are you have many valuables on your person, and even more at home. 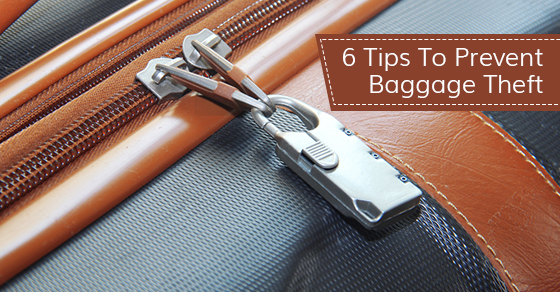 Use these tips to keep your valuables safe while travelling. But before you leave, make sure to install a reliable residential alarm system to protect your home. Knowing that your home is safe will give you peace of mind, so you can enjoy your experiences even more.